Bali is full of many different activities for locals and tourists. 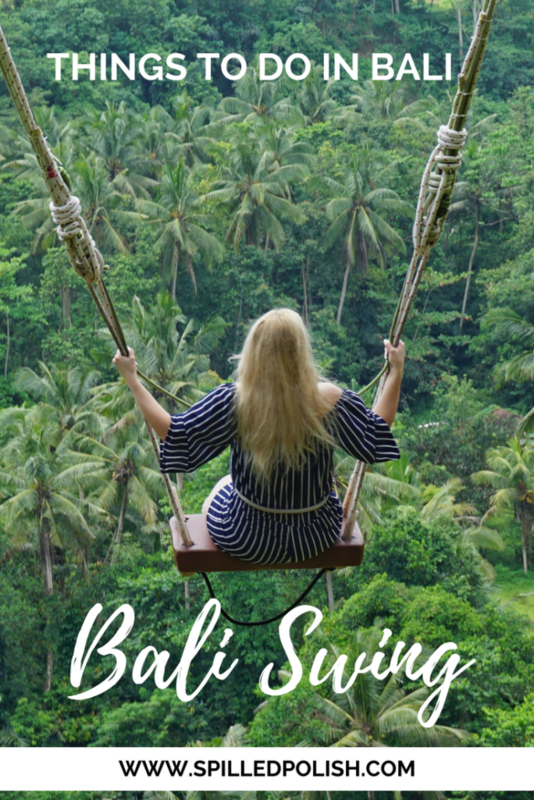 One of the first things I did when I got to Bali was head to Bali Swing. It’s almost like an adult playground, and perfect for photos! They have 4 different swings that you can work your way up – 10m, 15m, 20m and 78m. They also have an old-school tandem swing, two nests and a huge stone over the edge above the valley with an amazing view on the canyon and waterfall! It costs $35 USD to have access to all 4 swings, the nests, open bar (soft drinks & water), buffet, and other photo areas. In my opinion, $35 USD is quite pricey for this, especially since I didn’t eat at the buffet. The food was just little dishes, and I was scared of getting sick from it since it was just out in the open (so this was completely my own fault for not using what was included in my price). My friends ate the food and didn’t get sick.. so it was just me being picky. Aside from it being $35 USD, our time there was fun and we all got a ton of great photos! It’s truly something I would never get to experience back home in Canada. The giant nests were probably my favourite because the photos I got were so unique to anything I’ve ever taken. The staff working at Bali Swing are very nice and helpful. They were great at making you feel comfortable – even when they pushed you on the swing and you’re scared lol! Bali Swing is located at Jl. Dewi Saraswati, 80352 Bongkasa Pertiwi, Kapubaten Bandung, Bali (Banjar Tegal Kuning). 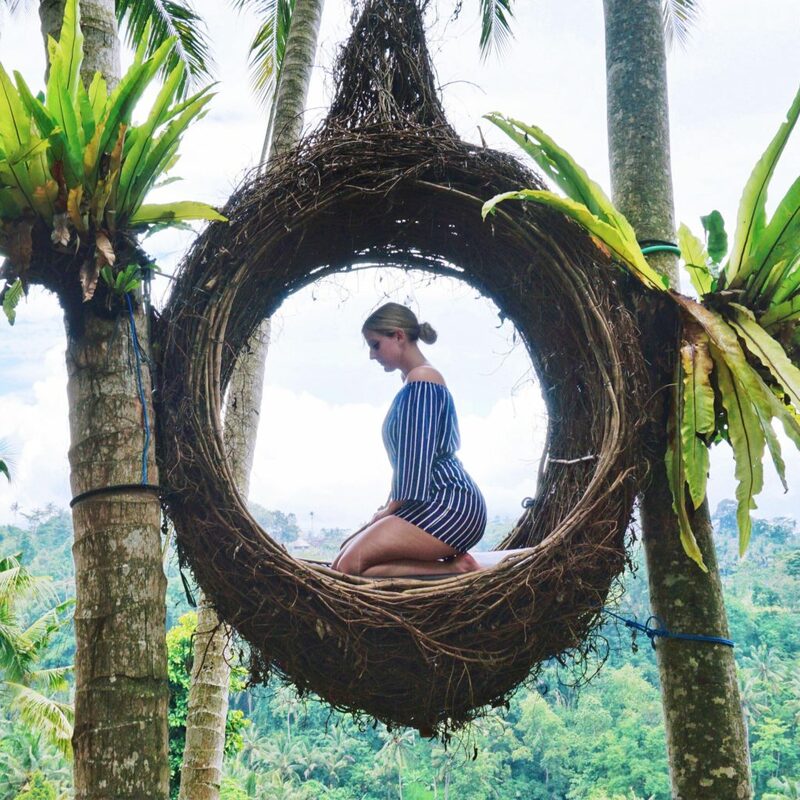 Be sure to check it out if you’re ever thinking of going to Bali – it’s pricey, but makes for amazing photos!